How do I join the Clarins.com Rewards Program? Simply register for an account at Clarins.com and you are automatically enrolled in the Passport to Beauty Rewards Program. 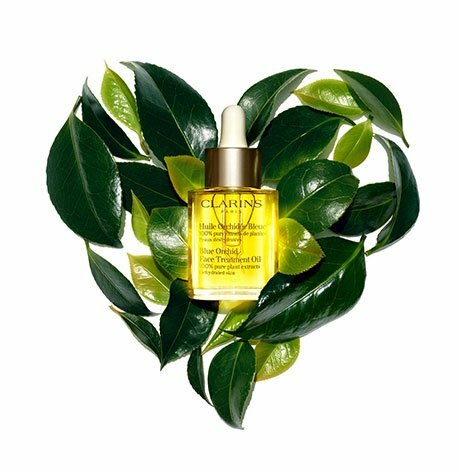 With our Rewards Program, when you place qualifying orders on Clarins.com, you earn points to use toward future purchases. Earn 1 point for $1 you spend online (exclusive of sales tax, shipping fees and eGift Certificate purchases). When you place an order on Clarins.com, points are allocated to your account. Points acquired by purchases will appear in your account and have a waiting period of 30 days before they can be redeemed. After the 30 day waiting period has passed, earned points will be released and added to your available points balance. After reaching 250 released points you will automatically receive a coupon with a promotional code to use on Clarins.com. This promotional code offers you a $25 gift certificate to use with any Clarins.com $100 order. Please note: Loyalty coupons may not be compatible with all promotions. Your loyalty promotion code will be valid for 90 days. How can I see my Rewards points? To view your Rewards points, log onto your account within the “My Account” section. You will be able to view points that are pending, released or redeemable under “My Points”. Pending Points : When you place an order on Clarins.com, points are allocated to your account. Points acquired by purchases will appear in your account and have a waiting period of 30 days before they can be redeemed. Released Points: After the 30 days waiting period has passed, earned rewards points will be released and added to your available rewards points balance. These points are valid during 2 years. Redeemable Points: After reaching 250 released points you will automatically receive a coupon with a promotional code to use on Clarins.com. This promotional code offers you a $25 gift certificate to use with any $100 Clarins order. It is valid for 3 months from the date of issue. To use your code, simply enter it in the box marked “Loyalty Code” on the Billing page, during checkout. Once the offer code is accepted, it will be displayed on the “Order Review” page. Loyalty coupons may not be combinable with other promotions. Loyalty coupon codes will expire 90 days after the date the coupon code was received by the member. (for example, if a loyalty coupon is released on 1/1/2016, it will expire on 3/31/2016). Reward points will expire 2 years from the date the points were released unless they are redeemed for a loyalty coupon (for example if points are released on 1/1/2016, they will expire on 1/1/2018).